This is their first year, so let’s get them off to a good start! Ready to sign up? Register online! 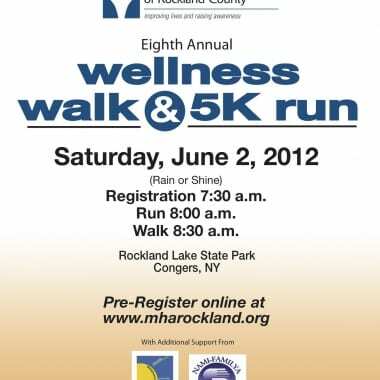 The Mental Health Association of Rockland County will be having its Annual Wellness Walk & 5K Run at Rockland Lake State Park in Congers, NY on Saturday, June 2, 2012.